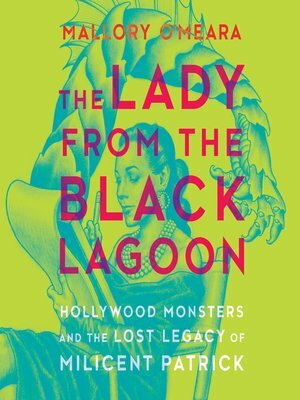 A PureWow "Book We Can't Wait to Read in 2019"
As a teenager, Mallory O'Meara was thrilled to discover that one of her favorite movies, Creature from the Black Lagoon, featured a monster designed by a woman, Milicent Patrick. But for someone who should have been hailed as a pioneer in the genre, there was little information available. For, as O'Meara soon discovered, Patrick's contribution had been claimed by a jealous male colleague, her career had been cut short and she soon after had disappeared from film history. No one even knew if she was still alive.